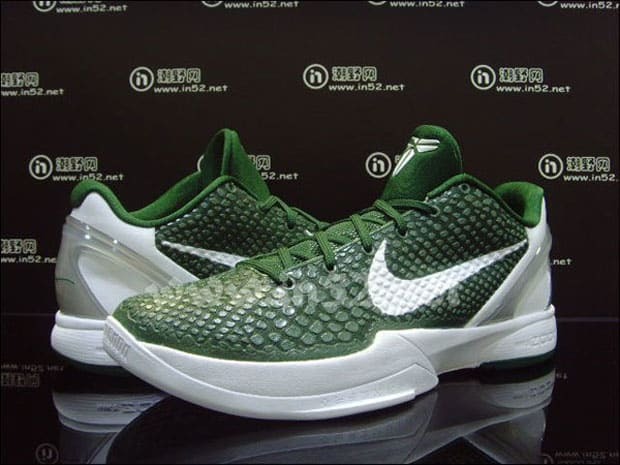 Nike Zoom Kobe VI "Gorge Green/White"
Get ready for another Kobe VI in a new colorway — this time we see a Gorge Green upper. The white Swoosh matches the white sole and contrasts well with the dark upper. Kobe&apos;s signature is written in green on the heel and the Sheath logo is stitched into the tongue. No word on the release date, but we assume these will go for $130 like the rest of the Kobe VI.